“V” is for Vision! “V” is for Vicki! As an Academic Advisor, she has invested in hundreds of families at MSA. She was there for the founding of Tri-State’s MEK/TEK, Rhetoric team, Cinematography Club, and Student Congress for homeschoolers. She teaches college-model classes (in person and online), writes curriculum and blogs for MSA (mtsophiaideas.com). Vicki earned her MA in Counseling from Liberty University, and another way she carries out her mission is her work as a counselor at Pike Creek Psychological Center since 1996. 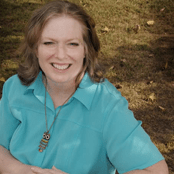 A member of the American Association of Christian Counselors, she is trained on their Life Coaching model, which she employs in the mentoring she does in the homeschooling community and elsewhere. She has served as director of prayer ministries in her local church and writes about prayer on her blog at www.vickisprayerstuff.com. If you are interested in having her speak to your group in person or via the internet, you can download Vicki’s Media Kit for free by clicking here. Catch hold of the vision!